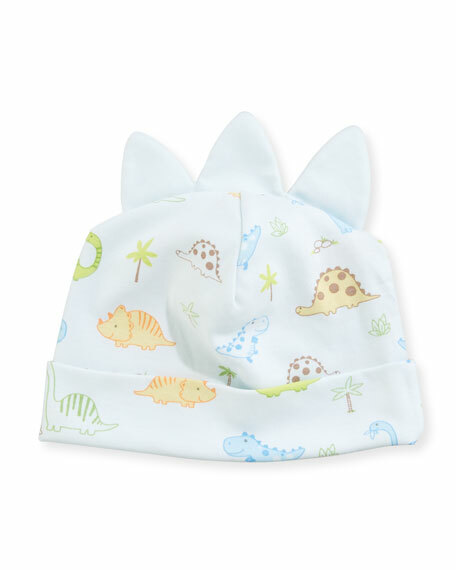 Kissy Kissy baby hat from the Dino Dudes collection. For in-store inquiries, use sku #2428326. 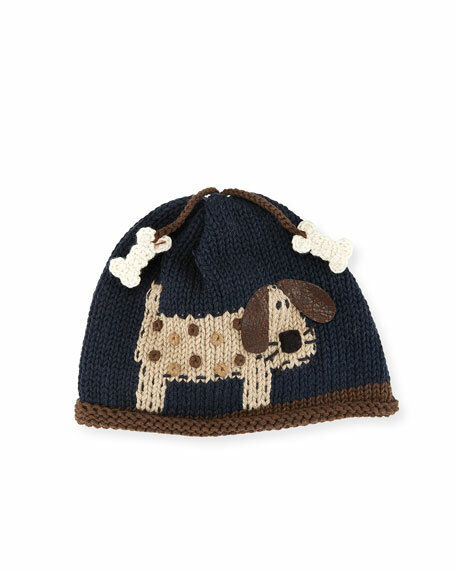 Art of Walk fitted baby knit beanie with spotted dog appliqu Hanging crochet bones at top. Contrast rolled brim. Cotton; machine wash. Made in Peru. 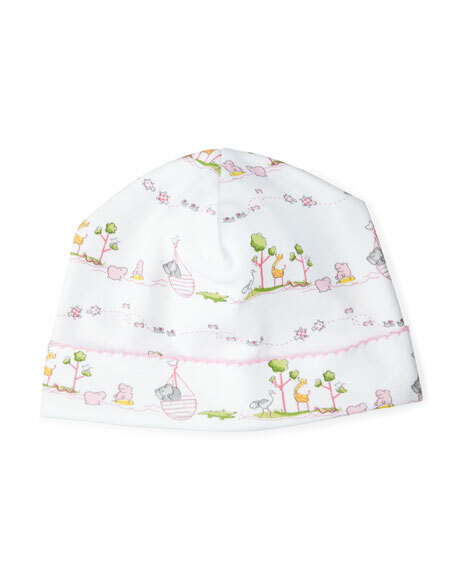 Kissy Kissy baby hat from the Noah's Ark collection. Fitted, skullcap style. Folded brim. Pima cotton. Made in Peru. 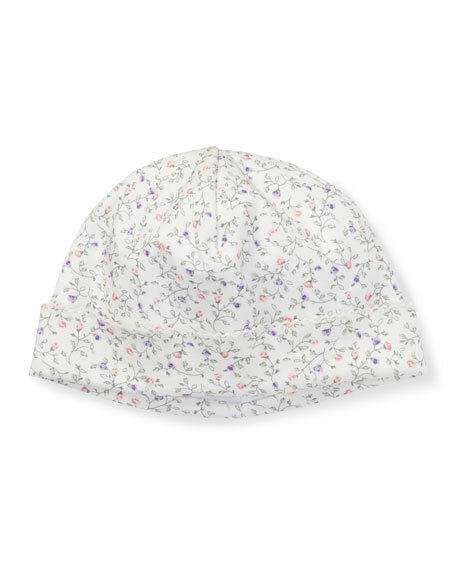 Ralph Lauren Childrenswear baby hat in floral print. Picot trim at rolled cuff. Fitted style. Shell and lining: cotton. Imported.